Description: Lacquer manufacture in Bagan, Burma. 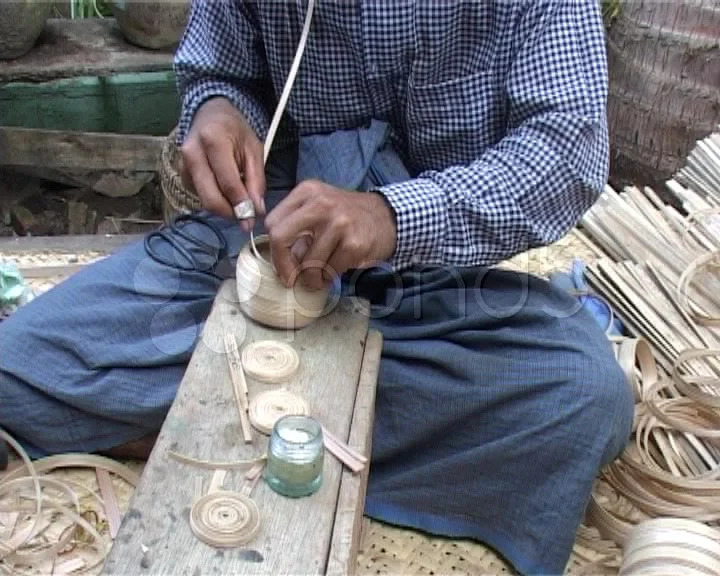 Man is inserting stripe of bamboo into the basis of future bowl. Zoom in and out.